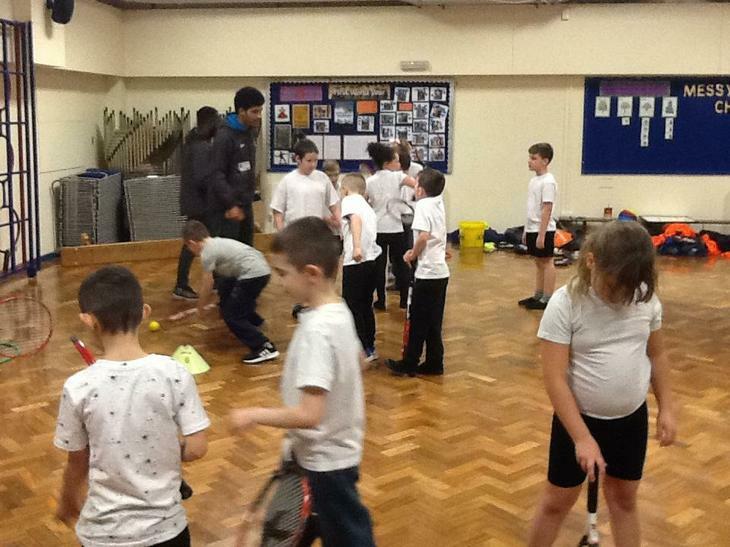 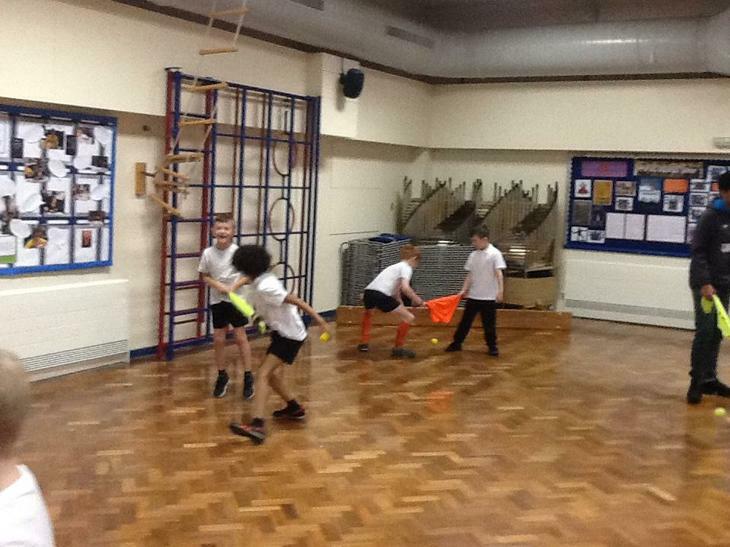 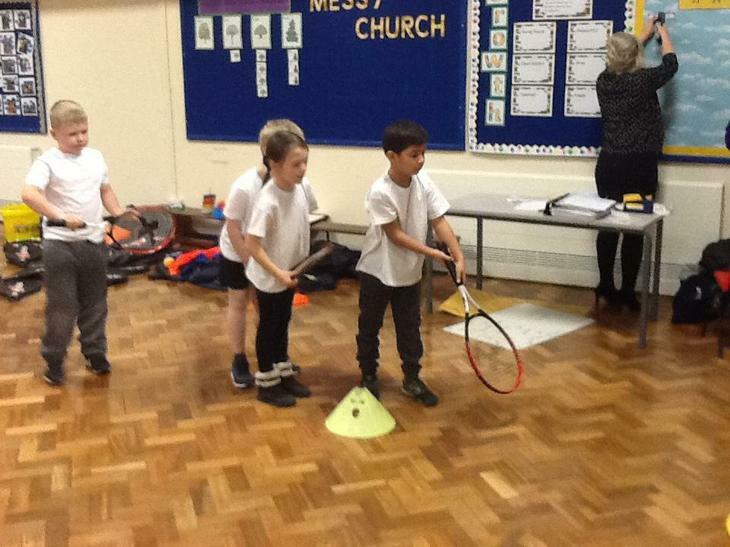 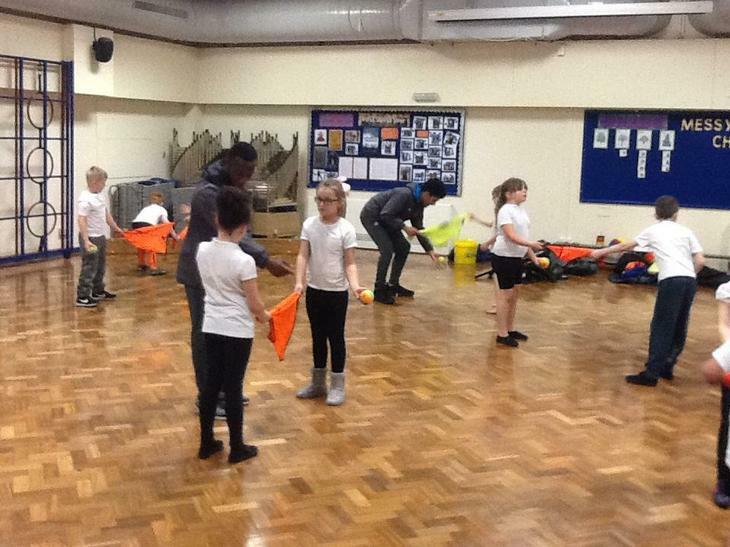 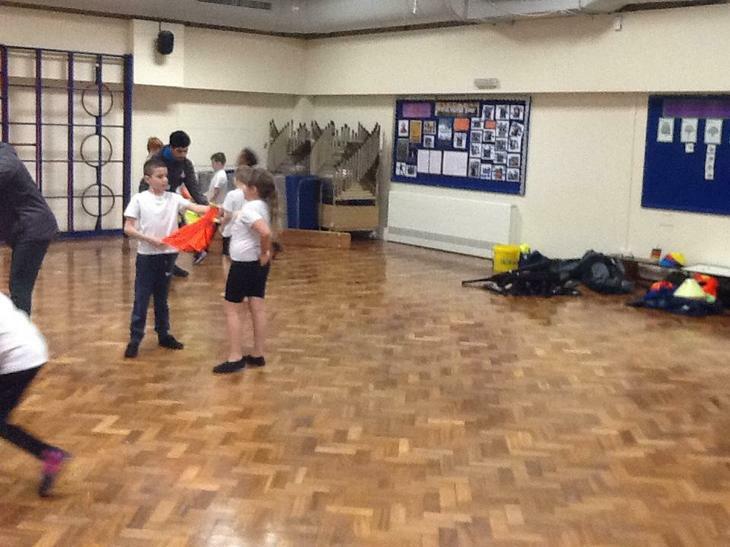 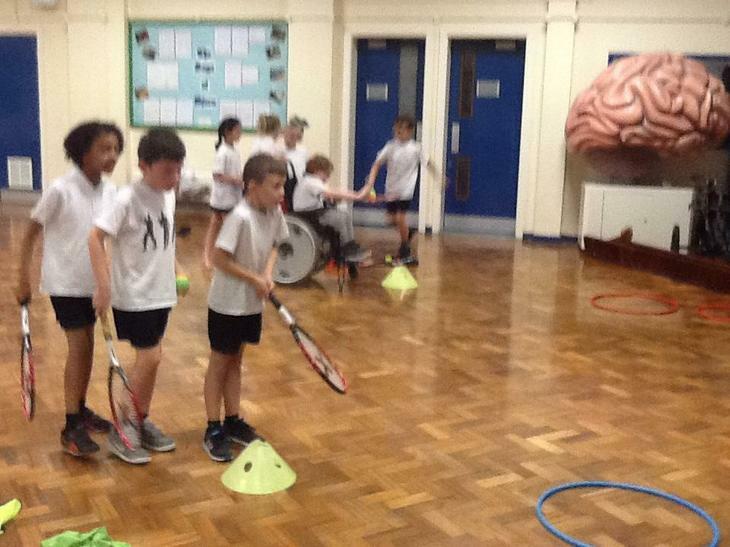 As part of our PE this term, Tyler and Dom from Bradford City are developing Year 3's tennis skills. 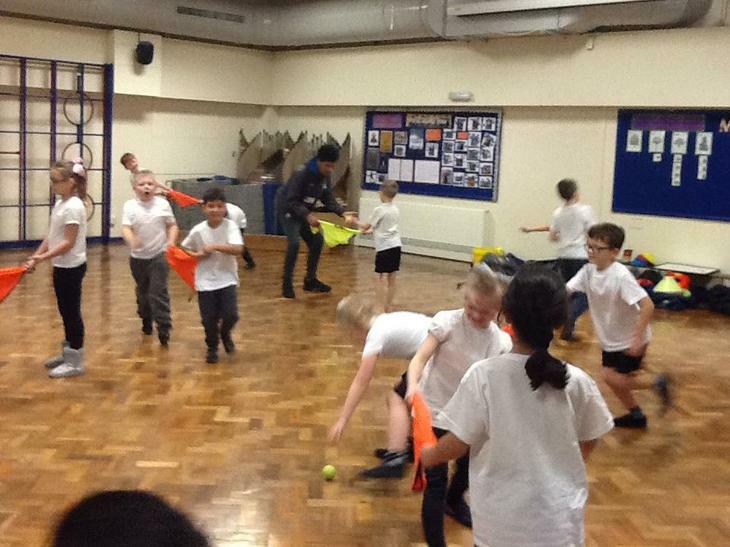 During the first part of the slide show, the children are concentrating on pair work and developing their catching and receiving skills. 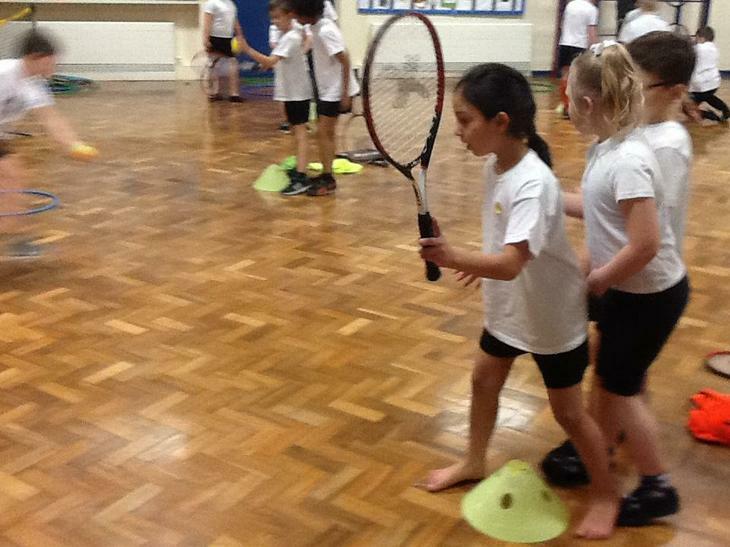 It is important that the children listen to each other, and throw and catch the ball with precision. 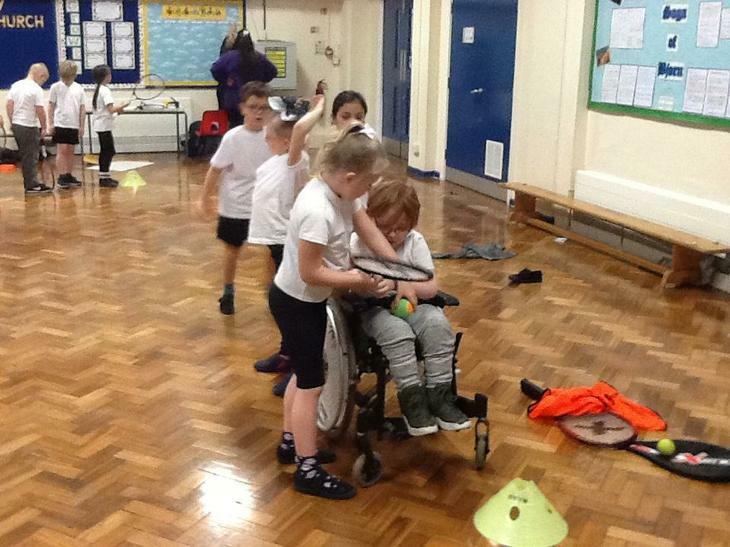 The second part of the slide show sees the children practice with the equipment, by trying the get the ball inside the hoops.